Florida lawmakers are intent on passing legislation that will undercut the passage of rights restoration for Floridians with prior felony convictions. Florida deserves better. 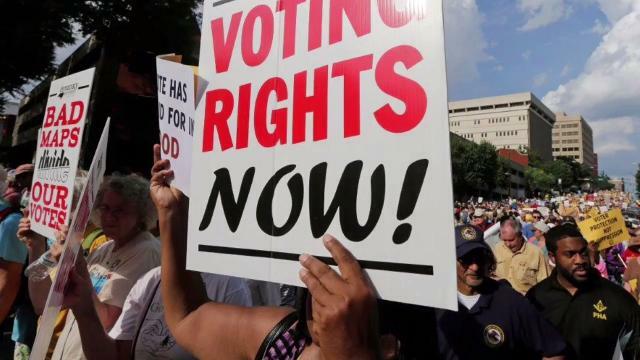 Advancement Project National Office stands with the Florida Rights Restoration Coalition (FRRC) in opposing any Amendment 4 legislation that creates additional barriers to voting for Returning Citizens who would otherwise be eligible based on the passage of Amendment 4. Any legislation proposed should neither limit the rights created by Amendment 4 nor infringe upon the will of Florida voters. Advancement Project National Office vigorously opposes vigorously oppose House Bill 7089 and Senate Bill 7086. Read the two letters we sent to the Florida Secretary of State opposing legislation that would undermine the will of Florida voters. Our advocacy won’t stop until Amendment 4 is fully implemented. Read our written testimony below.